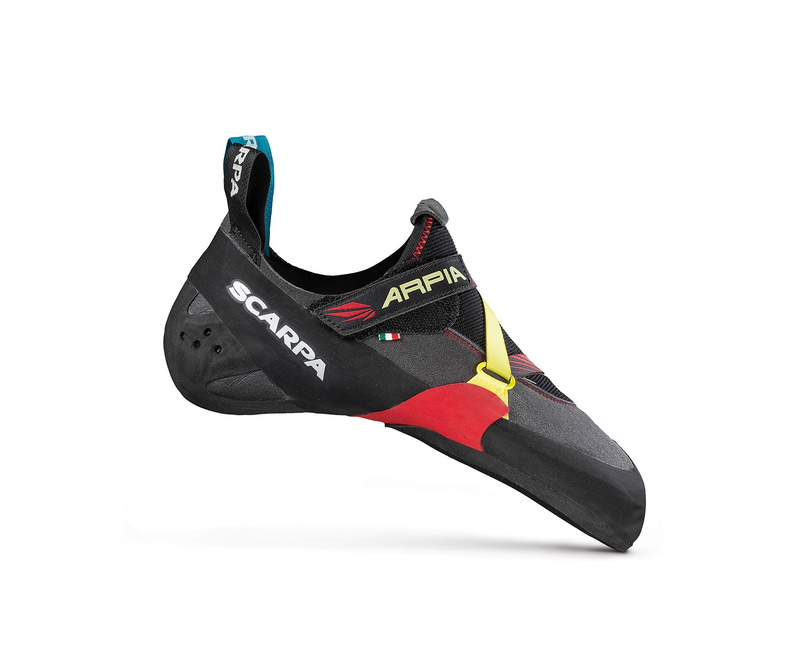 The Scarpa Arpia is designed to bridge the gap between beginner and high-performance shoes. 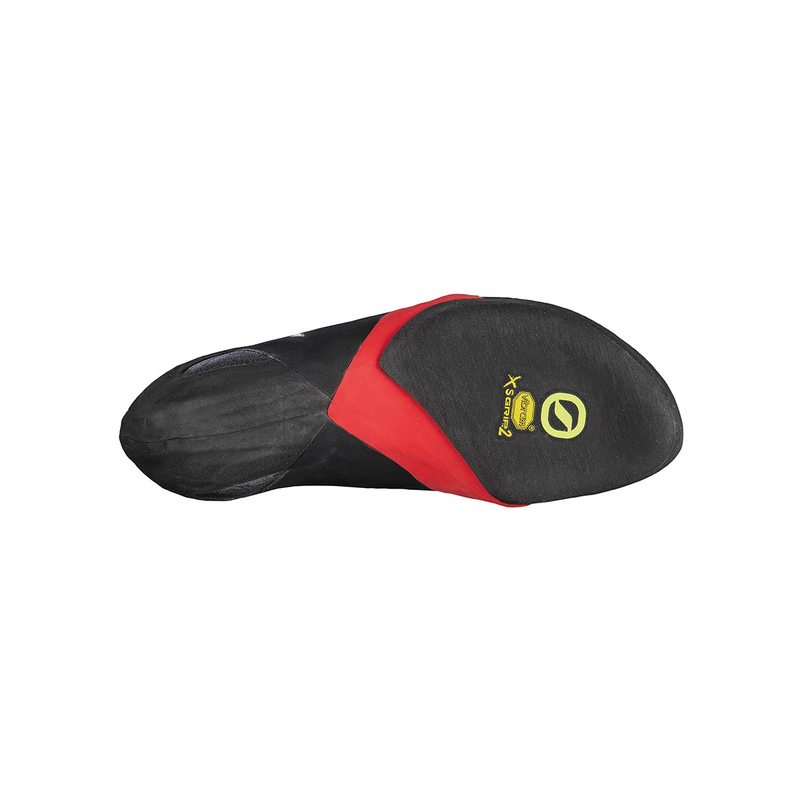 The last's slight downturn and moderate asymmetry balances comfort and performance to provide sensitivity and precision without being so uncomfortable that it can't be worn on longer routes, or by feet that will need time to adjust to more aggressive shoes. The sole is stiff at the front to offer support on edges and longer routes, but because it's only 2/3 length it won't be hinder smearing ability. 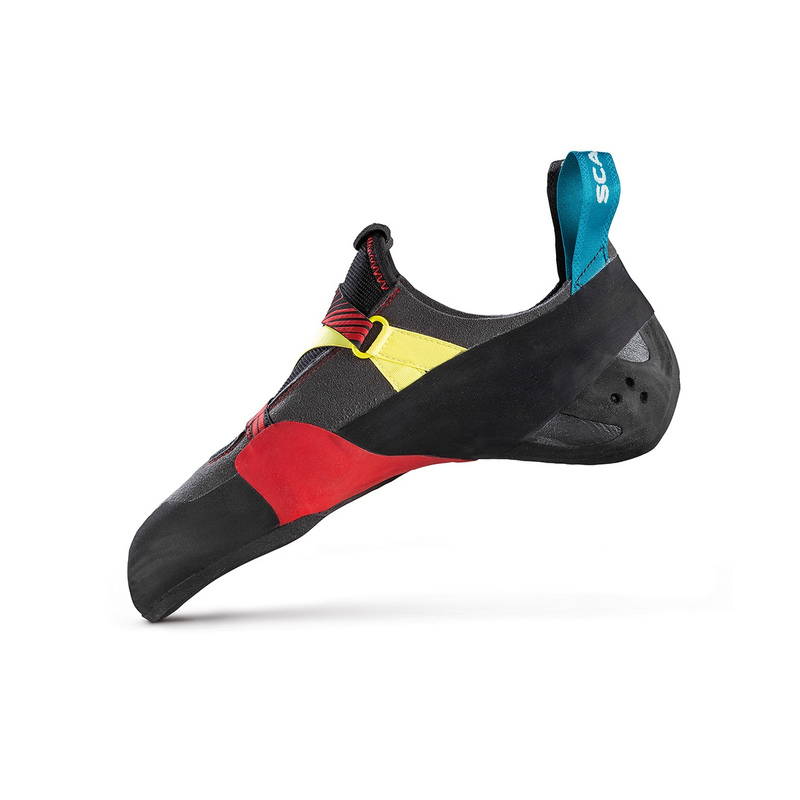 All of this makes it a great all-round shoe for the intermediate climber, or a great all-day shoe for the more experienced climber who's after a supportive, comfortable shoe for multi-pitch or trad climbing.